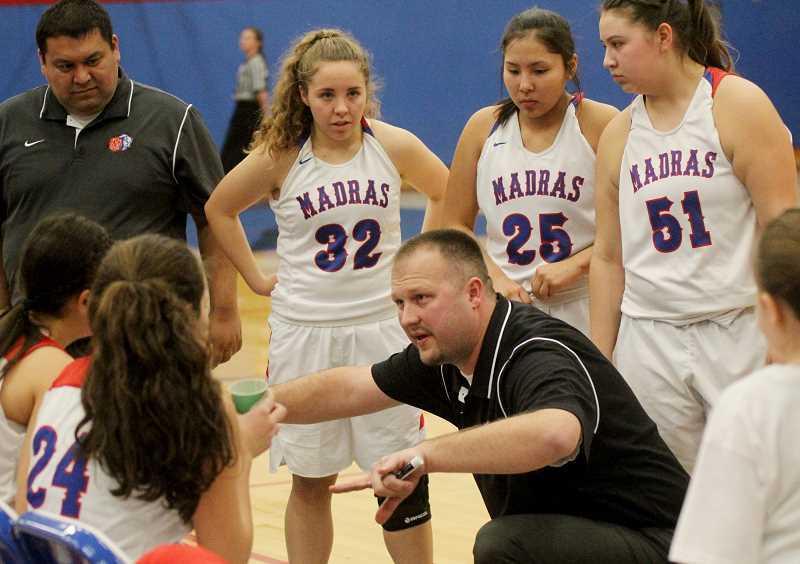 Madras White Buffalo girls varsity coach Zach Lillebo leaving for vice principal job. 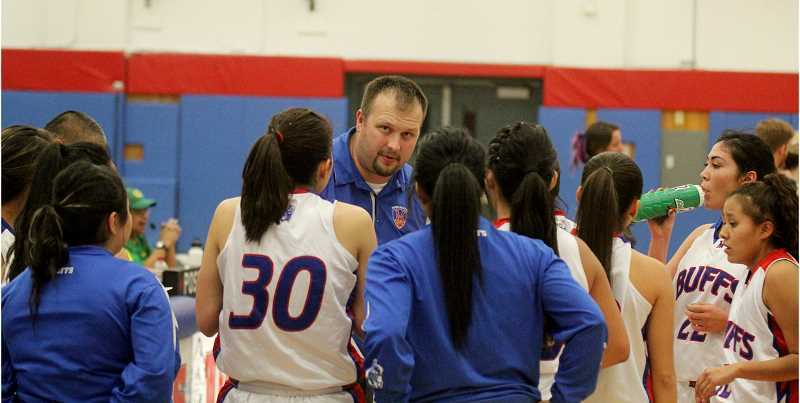 Madras High School is looking for a new varsity girls basketball coach. Zach Lillebo accepted a job as a vice principal in Lincoln City and will be leaving his coaching position in the process. He did not say farewell, but rather thank you to everyone in Jefferson County. Lillebo coached the girls varsity team for four years, starting his journey in 2014. 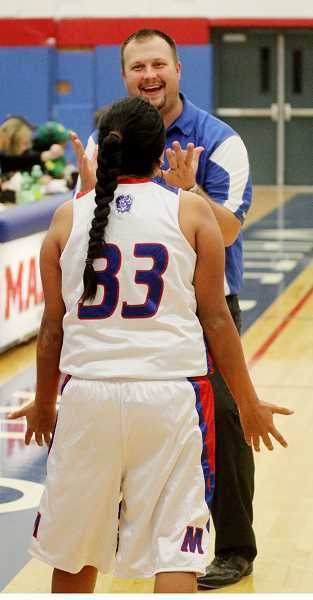 Before becoming a varsity coach, he was the Madras girls JV coach starting in 2009. In the four years Lillebo was at MHS, he had an overall record of 71-25, a .740 win percentage. He led the 2014-15 girls team to a play-in game, the 2015-16 team to the state playoff quarterfinals, 2016-2017 girls team to a play-in game, and the 2017-18 team to the first round of the state playoffs. "None of that happens without a talented and hardworking group of girls," said Lillebo. "In order for a program to reach these achievements, the limelight must reflect on the athletes. The girls are the ones who give up their Thanksgiving break, their Christmas break, travel across the state, all the while keeping their grades up. The girls are the true champions of this program." "Every season was different and I enjoyed every one of them, win or lose," said Lillebo. "It is really about what the kids taught me each season and there is always room to improve, whether it be your teaching style or coaching style. Each group of girls helped me grow, not only as a coach, but also as a person." "Every season was my favorite, but 2015-2016 was your typical don't count your chickens before they hatch season," he said. "No one really believed in Madras. We had a group of young athletes that stepped up, won a league title and made it to the elite eight. While losing the league MVP due to graduation (last season), most of the basketball community throughout the state considered Madras as rebuilding, but a group of talented and determined young ladies came into the gym in early November looking to prove the state wrong." "Hopefully, these girls had some fun while creating lifelong memories," Lillebo said. "It is not only Xs and Os for me, (but) having an impact on these girls' lives through basketball, team building, trust and knowing that I am willing to support each one of them. Over the last four years, I have spent countless hours in the gym, on the road, creating team-building activities with these kids. I hope they can all look back and realize I have had some positive impact within their life." "At some point in our lives, the game comes to an end and we must look back at those life lessons, character traits and core covenants that this game has taught us and put them into real life situations," he said. "The students and student athletes in this community have kept me here, their desire, their competitiveness and their willingness to open up about life," he said. "The Buffalo Dome is one of the best venues throughout the state and the community support and involvement." Last month, Athletic Director Evan Brown opened the girls varsity coaching position, which will be open until filled. The program is looking to hire the right person for the job and would like to hire someone by the end of June. Recruiting is limited due to no teaching positions being open. Assistant coaches Butch David and T.J. Foltz are helping run the program during summer play until the position is filled. "Were looking for the best person for the job," said Brown. "This is a good program and were looking for someone who can take over, get the team to the next level. The program is in good shape, so we need someone who can create relationships with these players and get them to perform at their optimal level." "The way that happens is by having a strong relationship with the team," Brown said. "The strong team relationships usually transcend into making a strong team. It is the biggest piece to coaching." "A coach is a salesman," he said. "You're trying to sell your way of doing things to the players. Once the kids buy into what you are doing, their job gets easier and that sale happens from building team relationships. It can't just be on the court either; it has to be stronger than that, getting the players to really buy in and become a cohesive group." Under Lillebo's four years as a varsity coach, six players were voted first-team all league (Tri-Valley Conference), five players named to second-team and five honorable mention. Four players were named league MVP, one for every year he was coaching. 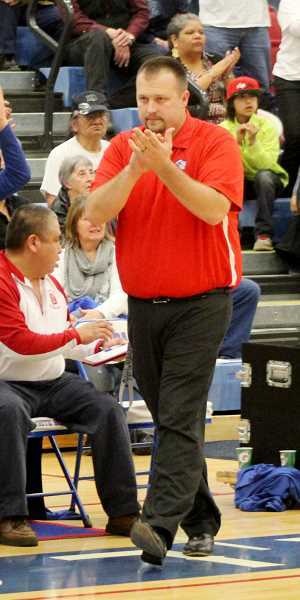 Lillebo was named TVC coach of the year three out of the fours years he was at Madras. Two of his teams won TVC league titles. "I've made a lot of friends over here and it is a bittersweet moment for my family," Lillebo said. "The measure of success is not based on stats, wins, losses, league titles, but more so on friendships created. My family has made some lifelong friendships within this community. Instead of going to the Coast for vacation, it looks like we will be visiting Madras to keep these friendships intact." "No one understands Madras unless they live within this close-knit community. For the past 10 years, I have seen the community support through athletics, 4H, youth sports, along with inside the classroom, and pushing our students to achieve more! I have thoroughly enjoyed my 10 years of teaching and coaching in this district and will miss so many things about this small black dot on the Oregon map. Not many people will have the opportunity to fully understand what a great place Madras, Oregon, truly is."